A mechanical threat has risen (again)! Are you tired of shooting Scythers and Centipedes? 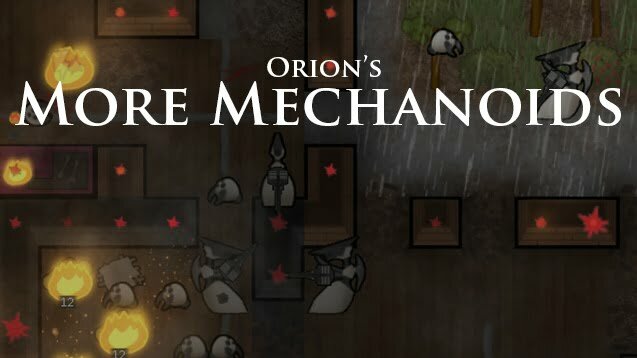 This mod extends the Mechanoid arsenal for more variation and new challenges! A mechanical threat has risen (again)! Are you tired of shooting Scythers and Centipedes? This mod extends the Mechanoid arsenal for more variation and new challenges! If you’re looking for an endgame challenge against the Mechanoids, this mod is for you. The new unit types will keep you on your toes. If you find Scythers and Centipedes annoyingly hard to defeat, this mod is for you as well. Some of the units are much easier to kill and more satisfying opponents. Mechanoids Extraordinaire: If you load More Mechanoids after this mod, everything will work fine. Combat Extended: Currently not supported. Someone will have to create patches for it and commit them to the CE repository. Additional credits: Mechanoid graphics by JoeysLucky, A12 to A17 update by Erdelf and Korean Translation by NyaamZ.